Asus has announced that it will be going beyond VR Ready by testing current products to ensure VR compatibility, offering numerous components and systems to enrich VR experience along with fully-immersive VR headsets and accessories. Asus, also mentioned that it has been working closely with partners to ensure that the motherboards, as well as the graphics cards, are compatible with the latest VR headsets and accessories. The badge on the products will be applied to all that are compatible with Oculus Rift as well as others like HTC Vive and many more. You can find other details and the list of compatible products here. ASUS today announced ASUS Beyond VR Ready, a distinctive mark of compatibility and confidence for consumers keen to gear up for the virtual-reality (VR) gaming revolution. ASUS has worked closely with leading industry partners, to ensure a wide range of ASUS motherboards, graphics cards and systems work seamlessly with the new generation of fully-immersive VR headsets and accessories. The testing and configuration program involved ASUS and partner engineers cooperating on the optimization of firmware and drivers for superior VR compatibility and performance — and the creation of the ASUS Beyond VR Ready logo indicates products tested to deliver a reliable and immersive VR experience. The Beyond VR Ready badge will be applied to ASUS products already tested for compatibility with the Oculus Rift virtual-reality (VR) headset and will include other VR headsets like the HTC Vive once they arrive to market. The ASUS VR Ready website is live today, at www.asus.com/microsite/beyond-vr-ready and will be continually updated with the introduction of new products. While it is easy for consumers to discover the minimum specifications necessary for building or buying a PC that could be capable of running the latest VR headsets and programs, confirming component compatibility and interoperability is a difficult job. ASUS Beyond VR starts with tested components or systems and the assurance that when everything is connected, powered on and the game or application is launched that a seamless, deep immersion into virtual reality is the consistent result. 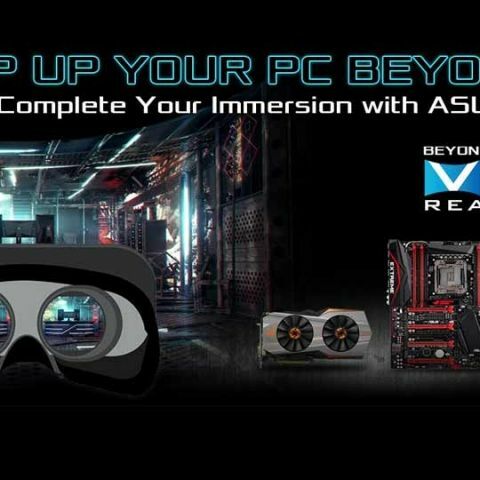 With the Beyond VR Ready initiative, ASUS is publishing a list of components tested for compatibility with Oculus Rift and expanding to include VR products like the HTC Vive in the near future. 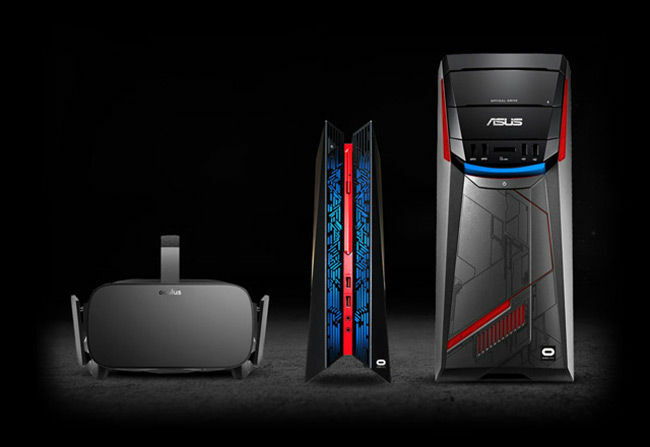 The VR Ready model list will be updated regularly to account for the introduction of new ASUS products and VR gear and accessories from leading industry partners. Consumers interested in building or buying a VR-compatible PC should visit the Beyond VR Ready website. A selection of recommended components for casual to the ultimate VR experience is included. Beyond VR Ready website also includes a list of ASUS PCs that are ready-made for an immersive VR experience. Starting now, VR-capable ASUS products will carry a Beyond VR Ready logo — an at-a-glance recommendation that the product is suitable for VR-based systems.